Engaging and entertaining reference guide about Ancient Greece - perfect for younger readers. From famous Gods to the inside of temples, let your child get all the homework help they need, and learn all about Ancient Greece with this comprehensive reference book for kids. Eyewitness Ancient Greece also includes a giant fold-out wall chart full of facts, perfect for bedrooms or classrooms. 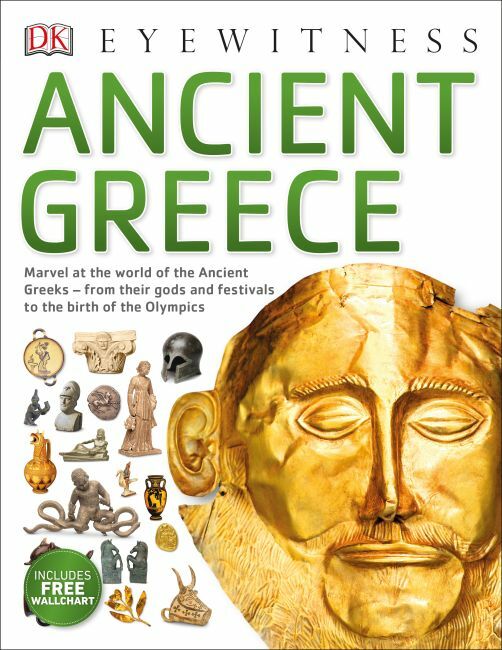 Packed with all the essential information from the previous edition, Eyewitness Ancient Greece is now more interactive and colourful than ever with new infographics, statistics, facts and timelines making the book engaging and educational for your child.